I've changed my domain name to www.thethinkerbelle.com! I finally changed my it after a very long (almost a year) consideration and readings on domain name change. Well, although I love the previous "anisfarhanaaliman.blogspot.com" and it holds a very special place in my heart but for the sake of improving my blog and giving readers an easier name to remember, I changed it to the new one. To be honest, it took me months to figure out the perfect name. I mean, although my blog does revolves on beauty and makeups nowadays, I also did a lot of thoughts sharing session here. Not to forget occasional fan girl rants and some random updates. So I need to think of something that could represent it all. I had a few names that I've been considering on but they never sound perfect to me. Until one day (early January I think ) I was watching one of my favourite Korean Sunday variety show "The Superman Returns" and there was one scene where one of the cast's kid (Cho Sarang) kept looking for a Tinkerbell shirt in a Disney store in Japan. And that was when I finally figure out the perfect name. It sounds like a play on 'Tinkerbell' word, I find "Thinker Belle" to be just a perfect name to represent my blog. Because I strongly believe as a woman, not only we need to care on our appearance, the way we think could also bring greater impression on others. Because rather than being just a beauty, I think it'll be even more amazing to be one with brain (intelligence). And the fact that I LOVE DISNEY ANIMATION just cannot be ignored! The 'Belle' from Thinker Belle is actually inspired from Belle in Beauty and the Beast. 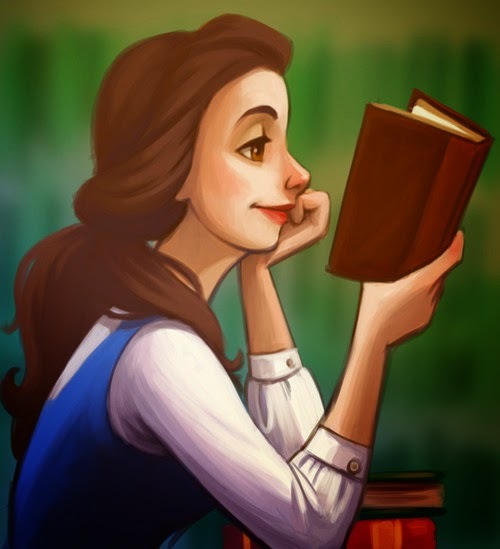 She gave me the greatest impression as a child because like her, I am so obsessed with books and novels that once I pick up my reading, it is near impossible to me to stop it half way. And I think her heart is just so beautiful for seeing someone's worth more than how the person look. Anyhow, I'll be gradually changing the 'Everlasting' header name completely to 'Thinker Belle' but for now I'll stick with that for the mean time because I'm so busy with my internship. So, what do you think about the name? hey babe! nice blog domain name! I plan to change it too but just wondering will it affect my current followers? I mean if they click my previous blog url will it be directed to my new domain?